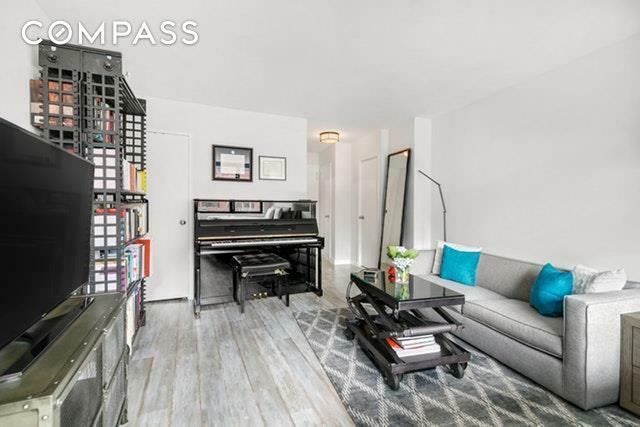 No Expense Spared in this Newly High End Detailed Renovation!Move right into this straight studio with a wall of windows facing south, open sky and East River views. The apartment was gut renovated, newly skimmed walls, with base molding, wide-plank laminate flooring, new outlets and light switches, and high-end radiator cover custom made by Fichman Furniture.The kitchen has been outfitted with modern white Thermofoil cabinets, grey quartz countertops, under-mounted deep sink with a chrome pull-out spray faucet, mosaic tile backsplash, and tile floors. 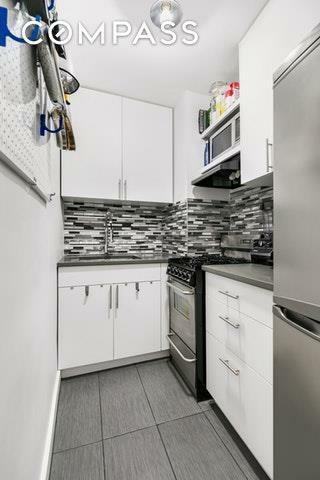 Stainless steel appliances include a Summit gas range, and refrigerator.The bathroom features, an eco-friendly toilet with slow-closing lid, a new glass shower door, with chrome shower fixtures. A fully recessed medicine cabinet, free standing vanity, and lighting. 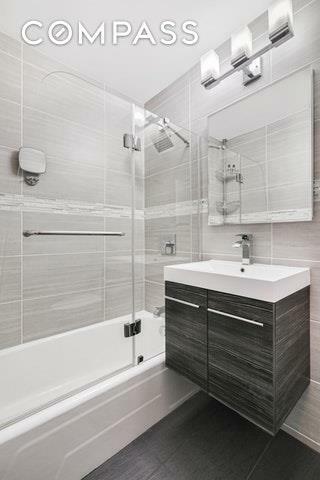 Floor to ceiling grey-tile walls and flooring from Porcelanosa. Restoration Hardware lighting fixtures, and matching new roller blinds, and 3 large closets add to the luxurious home the owners have created.The Murray Hill Crescent is a full service coop building with a prime Manhattan location, walking distance to the offices of Midtown, and the vibrant restaurants of Flatiron and Murray Hill. 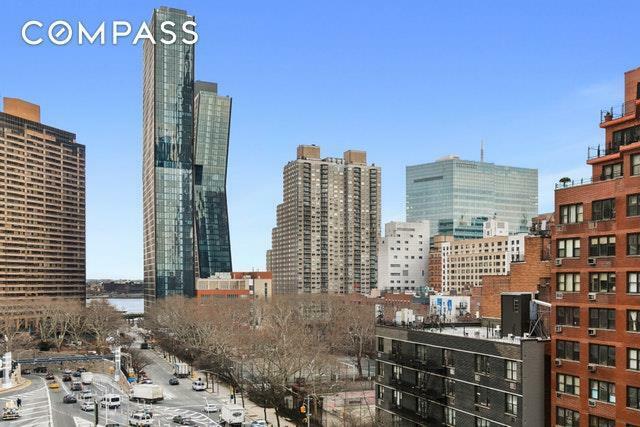 The scenic East River Promenade, is just a short walk and the new ferry services to Downtown, Wall Street, Brooklyn, The Rockaways, and New Jersey are a fabulous asset to this location. Grand Central Station is also nearby, providing rapid transportation anywhere in NYC.The building features a newly renovated lobby and hallways. A spectacular roof deck equipped with beautiful deck furniture and splendid 360-degrees views of the Manhattan skyline, taking in the Empire State and Chrysler buildings and the East River. Additional on-site amenities include a 24-hour DM, a live-in super, laundry, parking garage, and bike room. Pied--terre, co-purchasing and pets are permitted. Must see! Schedule an appointment to view. Listing courtesy of Mattie Weiser of Compass.